Our friends over at the East Village's new Como Ceviche want SanDiegoVille readers and social media follower to save a little money this holiday season. The new seafood-centric eatery has provided us with a coupon for guests to present for 25% off their entire bill, so read on, print it out, and stop in to get your fill of irresistibly unique and downright delicious ceviche bowls, salads and wraps! 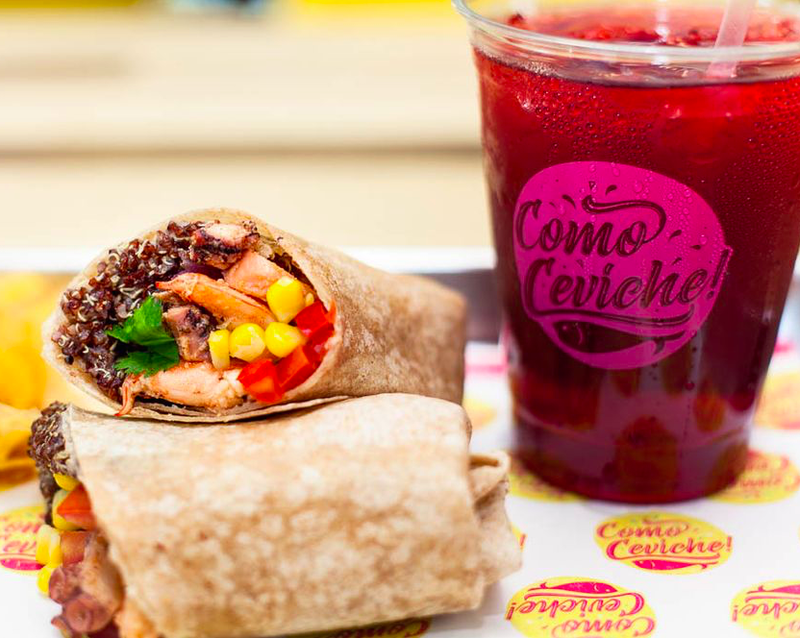 Como Ceviche officially opened this past October at 317 10th Avenue in the San Diego's East Village neighborhood and has since received positive reviews, including an aggregated 4.6 on Yelp. The fast-casual restaurant serves up pure and natural, raw ingredients from the sea and land, combined into medleys of color and flavor that are unique and delicious. While the menu features authentic ceviche dishes inspired by recipes from Peru, Mexico and Cuba, all of the fish at Como Ceviche is responsibly sourced. Competitively-priced ceviche bowls and wraps are individually prepared by hand to enjoy in a bright, welcoming restaurant. Customers can also get orders to go, to enjoy at work, home, the beach or elsewhere. Como Ceviche is the brainchild of local restauranteur Johan Engman and businessman and entrepreneur, William Lopez. Engman owns the widely popular Fig Tree Cafés and Breakfast Republic restaurants and is the founder of Rise + Shine Restaurant Group, which will take Como Ceviche under its umbrella. Lopez is the owner and CEO of marketing communications firm, Alternative Strategies, which currently represents an impressive list of 40 successful restaurants in San Diego. He has years of behind-the-scenes experience in the industry. Download the below coupon, print it out, and bring it into Como Ceviche for 25% off your entire purchase through December 31, 2016 (not valid with any other discount coupon or offer and must present printed copy for discount). For more information, visit comoceviche.com or call 619.343.1191.